Mustafa Ali worked for the Environmental Protection Agency for 20+ years. He co-founded its Office of Environmental Justice, which helped ensure poor/minority communities had access to the benefits of federal environmental preservation. Ali resigned last week in response to archaic Donald Trump environment policies and egregious actions designed to weaken the EPA’s powers. Of course, Ali is far from alone is his concerns about how Trump’s environmental policies will impact our communities, our nation, and the planet on the whole. The new administration has pledged to get rid of regulations such as the Clean Air Act and Clean Water Act, which protect the environment. And last month Republican Rep. Matt Gaetz (Florida) introduced a bill to eliminate the EPA entirely. Environmentalists and human rights NGOs are ready to fight these horrific Donald Trump environment policies in court. But they need support from us as citizens, to speak up and defend the agencies that are currently under attack from the GOP. With a president that called climate change a hoax perpetrated by the Chinese, it’s crucial that we take our responsibility to the Earth seriously. Here’s a look at four major fronts where they’re fighting to protect the environment from the Trump Administration, with simple tips for how you can help! One of Donald Trump’s many alarming campaign promises was to “scrap the EPA in its entirety.” He started by nominating Scott Pruitt— a staunch climate change denier— to head up the agency. 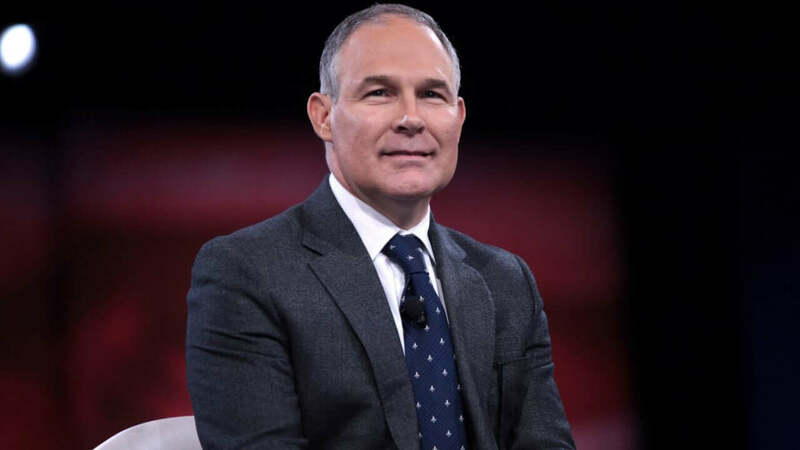 Pruitt was confirmed despite outspoken objections from environmentalists and Democrats. Earlier this month, a CNN source revealed a proposal from the Office of Management and Budget that would drastically reduce the EPA’s budget (by 24%) and staff (by 20%). This reduction puts many of the EPA’s most critical initiatives at risk, including the Environmental Justice Program and the Clean Power Plan. The risk to the Clean Power Plan, which President Obama enacted to reduce carbon emissions, is particularly concerning. Power plants are the #1 polluter in the United States, churning out around 40% of our greenhouse emissions. The CPP enforces regulations that help reduce these emissions. For the past two years in a row, carbon dioxide levels have jumped by three parts per million, according to a report from the National Oceanic and Atmospheric Administration. At a time when we should be focusing on reducing this rate of increase, it’s disturbing to think that Trump’s environmental policies could reverse the EPA’s critical efforts. The fact that Trump and Pruitt don’t seem to understand the value of protecting our air and water is a serious concern. Donald Trump’s desire to abolish the EPA makes it more important than ever for citizens to reduce their carbon footprint. Check out the EPA’s page on “What You Can Do About Climate Change” and incorporate these suggestions, such as sealing/insulating your home and using water more efficiently. You can also donate to respected NGOs such as the Environmental Defense Fund and Natural Resources Defense Council. The administration’s relationship with the National Parks got off to a rocky start in January. It began when the National Parks Service retweeted a photo showing the stark contrast in crowd size between Obama’s 2009 inauguration and that of Donald Trump. Then South Dakota’s Badlands National Park went rogue, tweeting out climate change facts in defiance of a gag order on all NPS accounts. Just last year, the National Parks Service celebrated its 100th anniversary, inspiring over 200 million people to visit the stunning variety of scenery and wildlife it protects. Now it seems highly unlikely that Donald Trump will make the protection of our National Parks a priority. His website promises to “streamline the permitting process for all energy projects,” which would mean less thorough environmental reviews. It also says that his administration will encourage “the production of [fossil fuel] resources by opening onshore and offshore leasing on federal lands and waters.” With Republicans in control of the White House and Congress, some legislators are considering proposals to allow for drilling within National Parks. The National Park Service has long been a prudent voice on the dangers of climate change. Under George W. Bush, the NPS was prohibited from discussing climate change. Now this order could be reinstated, preventing an influential organization from educating everyone who comes to enjoy their protected lands on threats to our environment. 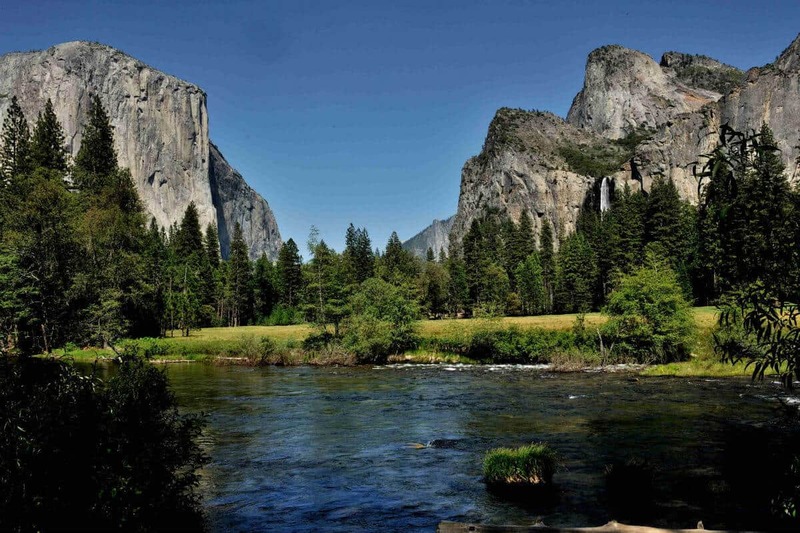 Visit our U.S. National Parks and donate to the National Park Service. Americans overwhelmingly support our national parks, and studies suggest that 80% would agree to pay higher taxes in order to maintain them. By continuing to demonstrate our support for places like Yosemite, Yellowstone, and Glacier National Park, the public can show Congress that threatening these treasures would not be wise for their careers. 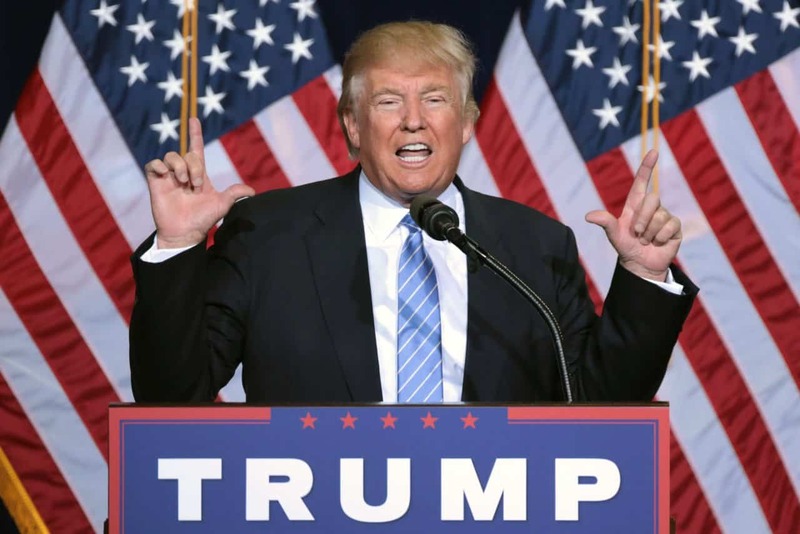 After nearly a year of protests at Standing Rock in North Dakota, Trump greenlighted the completion of both the Dakota Access Pipeline and the Keystone XL Pipeline. Native American water protectors finally left North Dakota, where thousands of them had come to camp, pray, and peacefully assemble to prevent the construction of the pipeline near sacred Sioux land. The pipeline protest movement enjoyed a brief victory in December, when the U.S. Army Corps of Engineers denied an easement to complete the project. But it was understood all along that Donald Trump’s environment policies could quickly reverse that decision. Given the fact that the President owns stock in the company building the DAPL, it was no surprise when he signed an Executive Order on January 24 to expedite pipeline approval . The Standing Rock Sioux and their fellow protesters may have lost this battle. But they did succeed in spurring conversation about oil pipelines, and the need for America to transition to clean energy. They also engendered new discussions of indigenous tribal rights, which have largely been disregarded since the founding of our country. Trump’s support of pipelines that carry crude oil underground poses a serious threat to the promotion of America’s clean energy future. It increases our anachronistic reliance on fossil fuels and likely sets us up for future environmental disasters. Pipeline spills such as Deepwater Horizon and Exxon Valdez have caused devastating damage to the environment and to the people and animals who call the surrounding areas home. Homeowners can support clean energy over fossil fuels by transitioning to solar panels or buying an electric vehicle. But if you aren’t ready or able to make the leap to renewable energy, there are many smaller ways to help reduce our dependence on fossil fuels. Ride a bike or take public transportation instead of driving, or vacation closer to home this summer instead of taking a long flight. Also, other protests have splintered off from Standing Rock, and they need your voice! Consider the amount of conversation and visibility generated by the water protectors at Standing Rock. 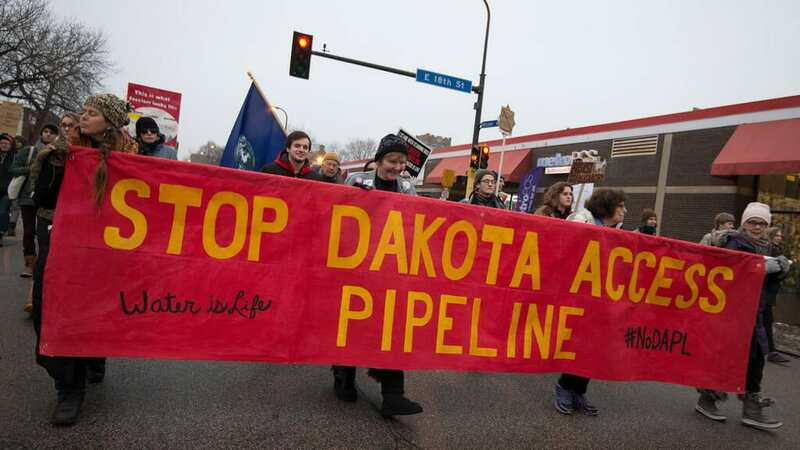 There are many more controversial oil pipelines in the works. Educate yourselves on the pipeline projects nearest to you, and join the effort by making your opposition heard. The Endangered Species Act was passed in 1973 by President Richard Nixon to protect endangered species and their habitats. Certain aspects of the ESA have been chipped away at for years, as the GOP fought to limit environmental regulations. Now, under Trump and an emboldened Republican Congress, we’re looking at the biggest threat to the ESA since its enactment. Profit seems to be the #1 priority of the Trump administration, and the ESA creates roadblocks to commercial gain by protecting the development of vulnerable land. Many studies have proven that defending our wildlife does not need to be at odds with commercial development, as protection of our private lands drives economic growth. But Myron Ebell, head of the Trump transition team, has called the ESA a “political weapon” and voiced his support for a complete overhaul of the bill. The thought of losing some of our beloved endangered species is heartbreaking. 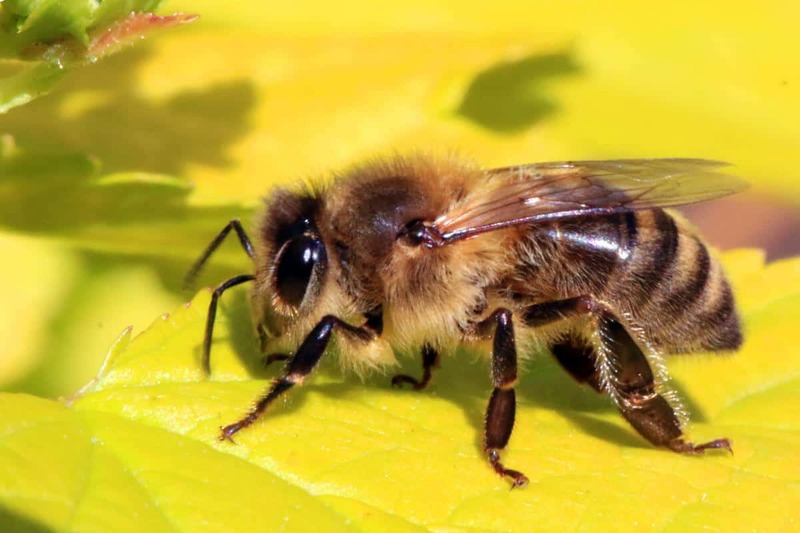 And though Donald Trump has yet to make any statements regarding his position on the ESA, he has already delayed federal protections for the first species of Bee added to the IUCN’s Endangered Species list. It’s important to know about endangered species in your area, and support NGOs that work to protect them. You can work to make your home more wildlife-friendly by avoiding the use of herbicides and pesticides, planting native plants, and keeping your garbage and pet food locked up to avoid attracting animals into your yard.